Course leader Mr Andy Cunningham, has many years of brokerage experience. The speakers on the course are marine industry professionals in their specialist fields and provide topical and instructive lectures relating to Marine Law, VAT, Insurance, Marine Finance, Registration, the Internet, Selling Skills, Surveying & the RCD, plus an insight into new boat sales. One year's free membership of ABYA is available to delegates on successful completion of the course, providing they are working in brokerage and can submit a complete sales file, and have PI insurance. 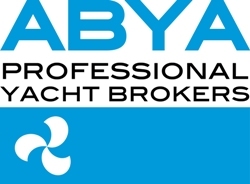 The next ABYA Professional Yachting Brokerage Course is 3rd and 4th June 2019 and will take place at the Solent Hotel & Spa, Whiteley, Hampshire.